Face The Facts Of Facebook! Everybody is on Facebook, and MRED is providing you a way to get some face time with potential buyers and sellers! To get the app, visit facebook.com/MREDLLC, click on the handbag icon (the MRED “App Store”), and add this product to your Facebook business/brand page. For only $5.99 per month, MRED customers have the ability to offer search-and-display of the full active inventory of homes for sale throughout their Facebook network. BUT WAIT – WE HAVE A SPECIAL LIMITED TIME OFFER! Everybody that downloads the app by midnight on September 30, 2012, gets their first month FREE. Be sure to use the coupon code MR3DB3T4 when you register. Click HERE to read a short PDF on how to install the app on your FB business/brand page. After you install the app, click HERE for the details on all of the app’s tools and features. Or click HERE to watch a short (four minute) “How It Works” video on the MRED Social IDX (MSI) Facebook app! 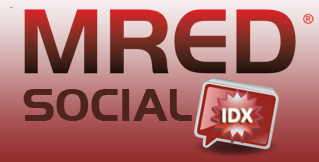 You can always go to MREDLLC.com, to the Products & Resources tab, for more information on all of our products and services, including the MRED Social IDX page to learn about the MSI Facebook app! Need help? Contact MRED’s Help Desk at 630-955-2755 or help.desk@MREDLLC.com.